Our Theft Prevention Guide includes steps to help online shoppers learn how to prevent packages from being stolen. Our goal is to reduce package theft. Package theft is often a crime of opportunity. It frequently happens when home owners are not home and unable to bring packages into their home. These types of crimes are sometimes not premeditated and may often be avoided by taking the following steps to create visible and physical barriers to protect your property. The visibility of a security camera or a doorbell camera on a doorstep may discourage porch pirates from stealing your packages. Some data shows that theft is as much as 300% less likely to occur when security cameras are installed. Additionally, cameras on your doorstep allow you to capture evidence that may be helpful if you need to try to recover stolen packages. 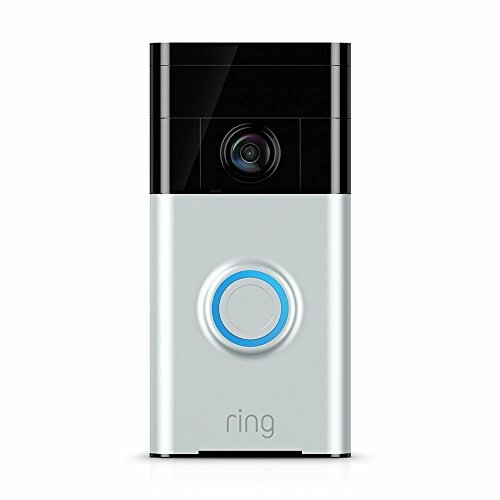 Here's our review on popular doorbell cameras. 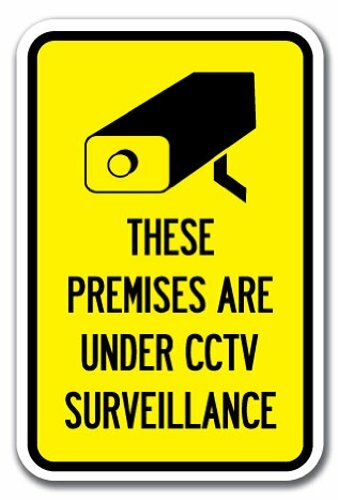 Posting a sign in a visible location that states that your property is under 24-hour surveillance can also be a deterrent. Where porch theft is often a crime of opportunity, every visible deterrent that will discourage a porch pirate from stealing your package may help. 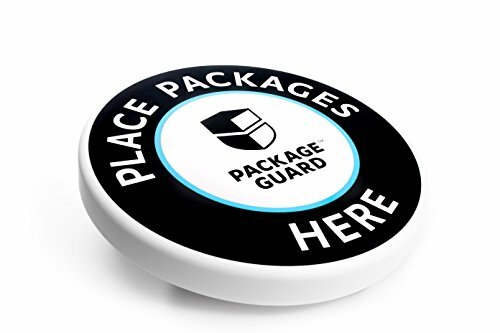 Products like the Package Guard request deliverymen and women to leave packages on a disc that is connected to WiFi. Once a package is delivered, you receive a text message notifying you that it delivered which might be helpful if you're home but didn't hear the deliveryman or woman deliver your package. Unless you or someone who is authorized picks the package up from the Package Guard, a 100db alarm will sound, hopefully scaring away criminals. Alternative alarms include TheBlankBox which is an empty package that when disturbed sets off a blank round of ammunition, startling thieves. A number of companies like Landport and Architectural Mailboxes are now building secure lockboxes that allow varies mail carriers to deliver your packages in a concealed and secured container. 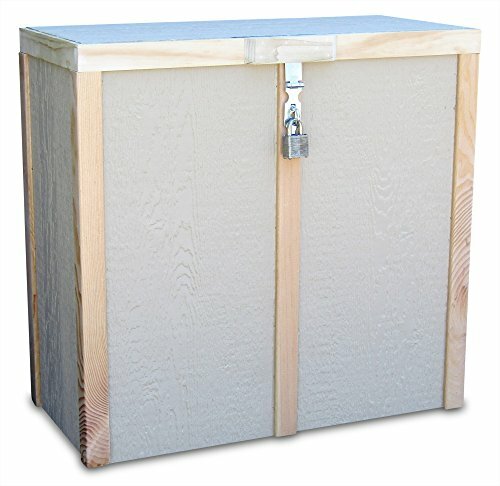 This measure has a significant effect on reducing theft as packages are not visible once delivered and secured in a weatherproof, locked container. Many of these containers can be secured to your property and lock after delivery. Major retailers provide secure methods of deliver. Amazon, for example, has Amazon Lockers where you can send all Amazon orders to. Here's a tool to find Amazon Pickup Locations near you. It's easy to use, and if you are okay with taking the extra step of picking your packages up away from home, this is an excellent way to avoid package theft. Amazon Key is a new option for Amazon consumers that connects smart locks and WiFi in-home cameras to an app that allows you to control the locking and unlocking of your door. When Amazon orders arrive, you can pre-authorize a delivery which unlocks the door for the delivery person allowing her or him to slip the package inside your door and close your door before it automatically locks. This process is all captured on the WiFi camera you connect to the app and can be watched live or after the delivery with a recording. Although package theft can occur at anytime of the day or night, package thieves who work at night want to stay concealed and may be scared away by a light that turns on. 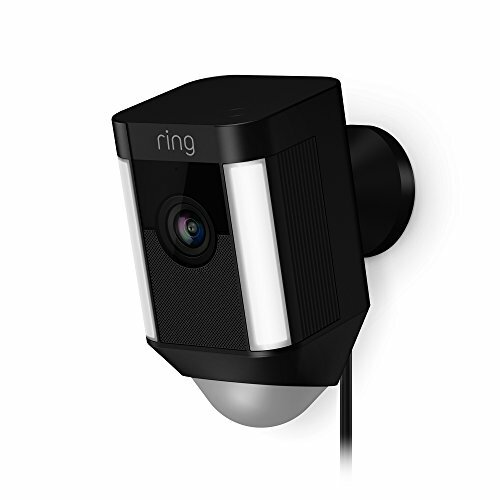 There are several options for spotlights including Ring's new spotlight camera that captures both camera and turns on with motion. Not any one measure can fully prevent package theft, but a combination of several of the above steps can greatly reduce your chance of a thief stealing your packages.